Wine of New Zealand. Aromas of pink grapefruit, basil and parsley are underpinned on the palate by ripe tropical fruit flavours and the unmistakeable Sauvignon Blanc characters of passion fruit and gooseberry. 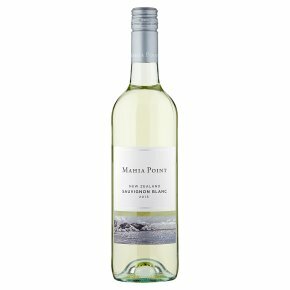 This Mahia Point wine exhibits the cool, pristine growing conditions found across New Zealand's vineyards and delivers a refreshing and crisp drinking experience. Enjoy!